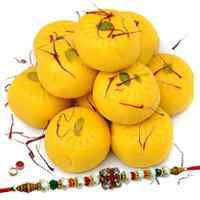 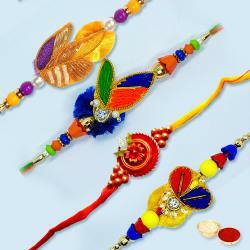 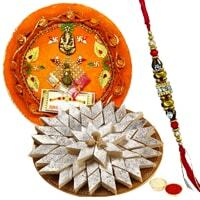 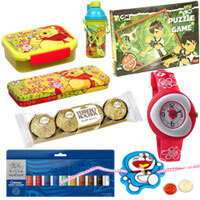 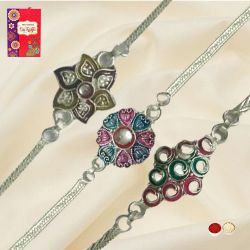 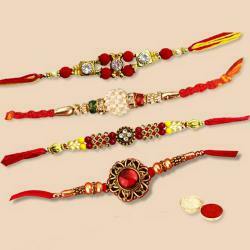 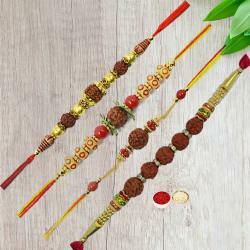 Rejoice the magical spirit of siblinghood by Sending Rakhi to Bihar online. 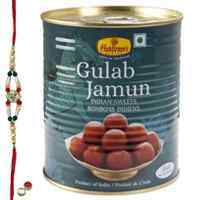 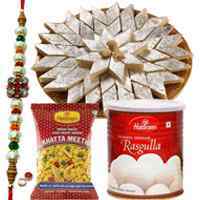 All you need to do is simply log on to our website and explore fascinating Rakhis and Gifts like Premium Rakhi, Kids Rakhi, Assorted Sweets, Dry Fruits, Chocolates etc at affordable Price. 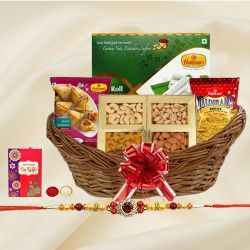 Order now and avail Free Shipping. 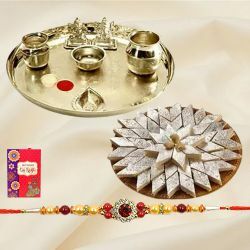 Order from a wide variety Rakshabandhan Gifts and Send Rakhi for your Bhaiya & Bhabhi in Bihar and surprise them on this Raksha Bandhan (15th August 2019). 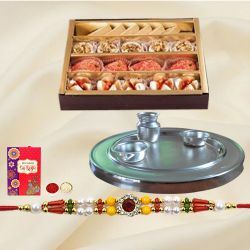 Free Delivery of Pooja Thali, Sweets, Chocolates & other Online Rakhi Gift can be done along with the fancy Rakhi & designer Lumba to all over Bihar. 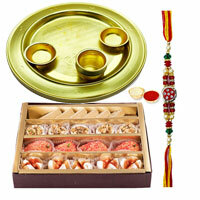 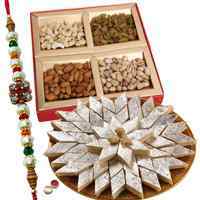 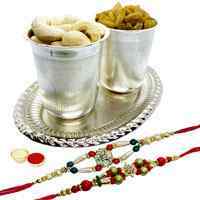 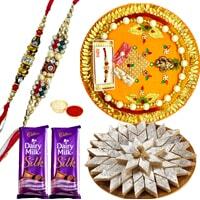 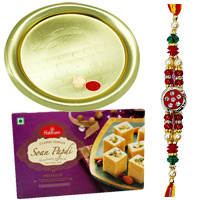 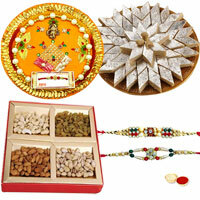 Send Silver plated Rakhi Thali decorated with Rakhi, Sweets, Dry Fruits, Roli, Tilak etc to Bihar. 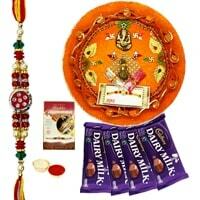 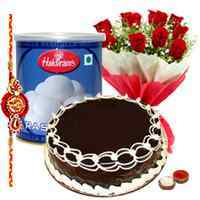 Add sweet flavour of Rocher Ferrero Chocolates with Kids Rakhi for little ones in Bihar. 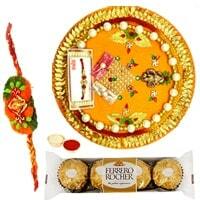 Send for your Bhaiya Bhabhi in Bihar beautiful Rakhi Lumba Set with delicious Sweets.